Over the past two decades, Mark Dever, senior pastor of Capitol Hill Baptist Church in Washington, D.C., has emerged as a prominent pastor-theologian in evangelical life. Though Dever has written on many topics, his most influential works are devoted to ecclesiology. His best-known book is probably Nine Marks of a Healthy Church (Crossway, 2004 [2nd ed. ]), a practical ecclesiology manual. Five years ago, he also contributed a more technical chapter on ecclesiology to A Theology for the Church (B&H Academic, 2007), a systematic theology textbook used mostly in Southern Baptist circles. 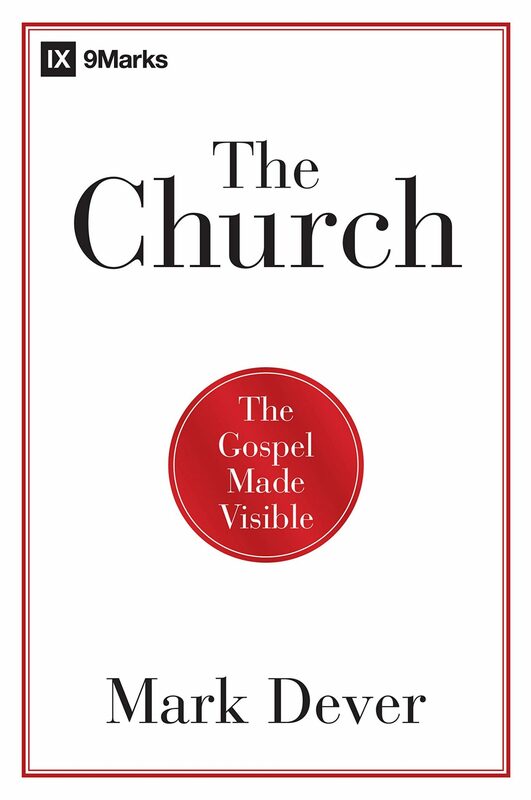 The Church: The Gospel Made Visible expands on that chapter. Dever opens with a preface and introduction, both written specifically for The Church. In the preface, Dever explains that The Church represents “a popular primer on the doctrine of the church, especially for Baptists” (xii). In the lengthier introduction, Dever counters the common evangelical argument that Scripture does not provide much in the way of ecclesiological prescription. He claims Scripture is sufficient to determine a biblical doctrine of the church. He also introduces some of his key convictions, including congregational polity, regenerate church membership, corrective church discipline, and a plurality of elder-pastors. Following this front matter, the remainder of the book is divided into three sections that have been lightly revised from the original chapter in A Theology of the Church. Part 1 is devoted to exegesis. Dever moves through Scripture topically rather than canonically, developing themes such as the nature, attributes, and marks of the church, membership and polity concerns, church discipline, and the purpose and hope of the church. His treatment of Scripture will resonate with most Baptist readers, though Christians in other traditions will quibble with him on the matters that generate debate, especially polity and the ordinances (or sacraments). More broadly, in the ongoing debate over the church’s mission Dever affirms a version of Two Kingdom theology. He argues that evangelism and discipleship compose the church’s principle mission, though growing Christians will care about justice and mercy. Many churches will choose to address these latter priorities through formal initiatives. Part 2 provides a historical survey of ecclesiology. Though Dever writes from an overtly Baptist perspective and periodically highlights uniquely Baptist concerns such as Landmarkism and the terms of communion, the thrust of these chapters is descriptive. He discusses historical debates about matters such as the idea of the church, the ordinances, polity, church discipline, church covenants, and confessionalism. Though this section is quite short, Dever ably introduces readers to the key debates among differing Christians, especially Baptists and other Free Church evangelicals. In Part 3, Dever is probably at his strongest as he moves to prescription and addresses matters of practical ecclesiology. First, he argues for a uniquely Protestant vision of the church that focuses on gospel proclamation and the priority of the visible church over the invisible church. He then develops a constructive Baptist ecclesiology characterized by a regenerate church membership that regularly gathers for corporate worship, elder-led congregationalism, and credobaptism as prerequisite to church membership and participation in communion. He challenges left-wing understandings of Baptist ecclesiology, affirms a complementarian view of church leadership, and engages a range of practical considerations. Much of this material mirrors Dever’s other writings on ecclesiology. The Church is a helpful introduction to Baptist ecclesiology. Perhaps because of its genesis as a lengthy chapter in a systematic theology textbook, Dever provides a good balance between description and prescription. The book’s structure (introduction, exegesis, history, practice) lends itself to wide usage in the seminary classroom, among pastors and church staff, and in ministerial internship programs. Non-Baptist evangelicals will likely reject many of Dever’s conclusions, though many who appreciate the importance of ecclesiology will still resonate with much of the book. Even readers sympathetic to Dever’s ecclesiological vision (like myself) may quarrel with him over his treatment of several issues. A couple of examples will suffice for this review. Dever seems inconsistent when discussing the timing of one’s baptism. Early in The Church, Dever argues baptism should probably occur closely after conversion and should be a one-time event (38). He notes this reflects the New Testament pattern. Yet later Dever argues baptism should probably be delayed until the later teenage years when one’s regeneration can be better ascertained (153–55). This was the pattern among earlier Baptists. This topic, admittedly sensitive, merits a more consistent and comprehensive treatment. B&H (2012). 208 pp. $12.99. Christians face lots of practical questions when it comes to life in the local church: How is the gospel displayed in our lives together? What are we supposed to do and believe? Different followers answer differently—even as they preach the same gospel! What should we think about such differences? A church’s life, doctrine, worship, and even polity are important issues. Yet they are so rarely addressed. The Church is Mark Dever’s primer on the doctrine of the church for all who see Scripture alone as a sufficient authority for the doctrine and life of the local church. Dever also argues against churches holding multiple worship gatherings (multi-service) or gathering in multiple venues (multi-site). He bases his view largely on the belief that the Greek word ekklesia implies a gathering or assembly. In short, Dever believes you have more than one church if there is more than one (duplicated) gathering. While I share many pastoral concerns about multi-site churches in particular, it seems premature to dismiss a polity based primarily on lexical grounds. The universal church is an ekklesia, even though it does not presently gather. Perhaps the same is true, or could be true in some cases, for multi-service and multi-site churches. Other sympathetic readers will disagree with Dever’s view of the church’s mission, his espousal of elder-led congregationalism, and his relatively sparse treatment of Christian unity. Nevertheless, Dever remains an articulate spokesman for Baptist ecclesiology, especially in a theological climate where the doctrine of the church is often considered tertiary, even very conservative evangelicals. Among his fellow Baptists, Dever pushes back against some of the common downgrades of Baptist ecclesiology resulting from forces such as revivalism, pragmatism, and indifference. The Church is probably the best contemporary introduction to Baptist ecclesiology. Readers who wish to read a more comprehensive, constructive volume should consult John Hammett’s Biblical Foundations for Baptist Churches (Kregel, 2005) or Gregg Allison’s forthcoming Sojourners and Strangers: The Doctrine of the Church (Crossway, 2012).